The year long construction project to expand the green line to Somerville began Friday night. Construction to expand the Green Line is now underway in Somerville, Massachusetts. It's all part of the MBTA's multi-billion dollar Green Line extension project in three Massachusetts communities. In Somerville, the Broadway Bridge is set to be demolished and replaced. 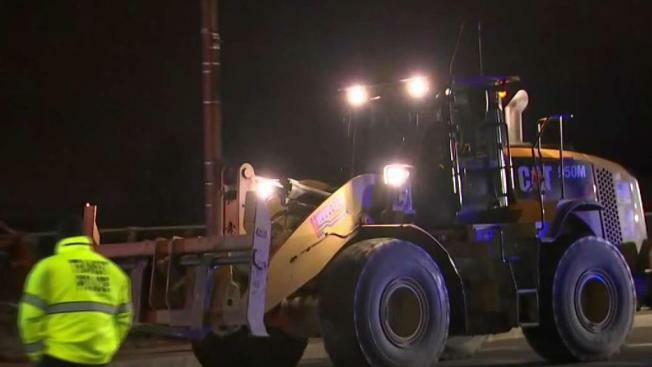 According to the Massachusetts Department of Transportation, the bridge is being replaced to accommodate the additional light-rail lines that will pass underneath the structure. A major bridge in Somerville, Massachusetts, is set to be demolished and replaced starting Friday night in order to make way for the MBTA's multi-billion dollar Green Line extension project . Work on the bridge, which is taking place between Ball Square and Magoun Square, is expected to last until March 2020. The $2.3 billion Green Line extension project is designed to extend the public transit line about 4.7 miles through east Cambridge into Somerville and Medford. The project includes seven new light rail stations, the replacement or rehabilitation of eight bridges, and a new pedestrian/bike path. 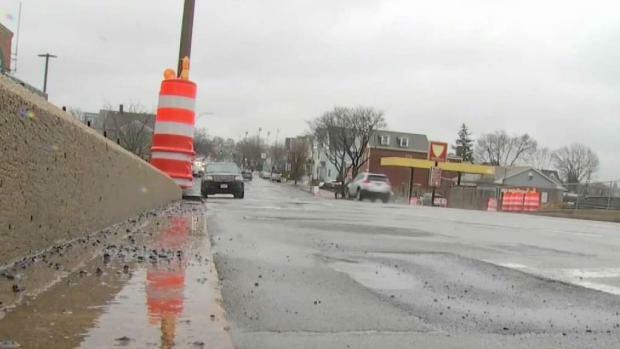 As work takes place in Somerville, city officials are encouraging residents to patronize the many small businesses in the area that will be impacted by the construction. Carlo Rossetti, co-owner of Salon CU, says he hopes losses at his business won't be too great. "It's not a really super huge square. And we kind of all feed off of each other," said Rossetti. "Our clients buy coffee, coffee clients buy breakfast and people buy booze on their way home. There's a lot of reasons to come though the square and all of that's going to get cut away." Detours have been put in place while construction continues in Somerville, Massachusetts, to make way for the MBTA's Green Line extension. Workers at the Ball Square Medical Building, which sits right next to the tracks, say they will remain open despite the constant interruption of construction. "The office will remain open. The back roads are still open as well," said medical assistant Andy Mercado. "We're sharing the same ground so every time the train rumbles by we hear and feel it." Jimmy Cataldo and Kevin Wright grew up in the Somerville neighborhood and said they still plan to visit despite the work that is expected to cause headaches. "They'll figure it out. It's gonna be tough at first, but everyone figures things out," said Wright. A full list of detours that have been put in place by MassDot due to the bridge demolition can be found on their website. In addition to detours, MBTA Bus Routes 80 and 90 that operate over the bridge will be diverted. The Commuter Rail line will also be shut down on various weekends to facilitate the work.